The update that everyone’s been waiting for over four years is just one week away from becoming a reality. 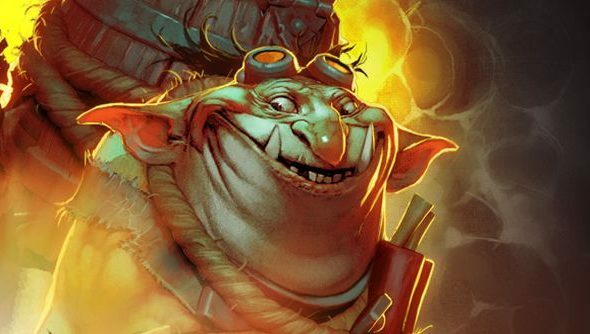 The “Techies” update isn’t only promising a new hero – which is one of the most infamous heroes in the game – but a slew of other features. The madness of All Random Deathmatch is making its debut along with a new All-Hero challenge, egging you on to win a match with each and every hero in Dota 2. And we’ll also see the introduction of the compendium stretch goals, such as new music and ballsy taunt gem. Oh, and don’t forget the bug fixes too. The meat of the update is a new hero called Techies. They’re a trio of giggling goblins that have a taste for explosives, lots of them. They can place various boobytraps around the map for their foes to blunder into, causing massive damage or stunning them for long periods. Even if they manage to evade their mischief, Techies can blow themselves up with one of the biggest nukes in the game. LAND MINES – Place an invisible bomb that automatically explodes when an enemy steps near. STASIS TRAP – Set a hidden trap to stun your foes. SUICIDE SQUAD, ATTACK! – Sacrifice yourself for the greater good, inflicting massive damage to nearby enemies. REMOTE MINES & FOCUSED DETONATE – Place stealthy remote explosives in strategic locations then, when the time is right, use Focused Detonate to set them off. Although they look rather powerful, they can only reach that potential in the hands of a skilled player. They’re super squishy, and have the worst auto-attack in the game. You’re going to see a lot of bad Techie players until you witness a good one, and you can expect to see these three muskateers in just about every match you play from now on. All Random Deathmatch is an interesting take on the MOBA formula. Each team spawns with randomly selected heroes. Every time a player dies, they respawn with a new random hero, while keeping their level and items. Each team can lose up to 40 heroes before their players will stop respawning. First team to whittle the enemy team down to zero or destroy the Ancient the good old fashioned way, wins. 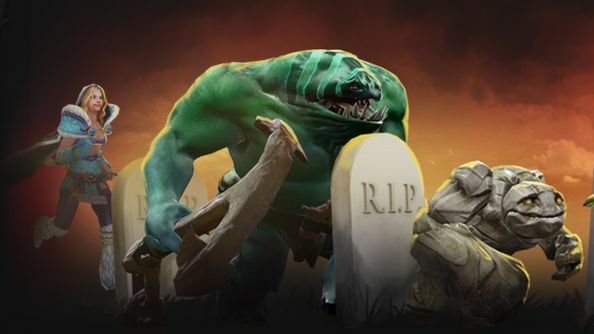 If the sound of All Random Deathmatch make you squirm in your seat with intimidation, don’t worry: the new All-Hero Challenge will get you ready to face whatever hero Dota 2 throws at you. It will give you a random hero and challenge you to win a match with it, and upon doing so you’ll be presented with another hero. Slowly, you’ll eventually win a match with each and every hero, receiving a brand new trophy to boot. The new trophy systems allows you to show off your accomplishments in your Dota profiles gallery. Think of it like an achievement system. A bunch of compendium stretch goals are also coming to fruition. There’s a victory taunt, a special laugh for Techies and a new kill banner. The most exciting goal however is the International 2014 music pack. Award-winning artist, Chance Thomas, has composed a number of new battle music peices. There’s a behind the scenes preview above, so do give it a watch. Fixed a case where picking up an item owned by another player triggered an item combine, using items from the owning player’s stash. If the item was owned by an enemy player, this would combine and steal the whole item. Side towers are now always Invulnerable. Fixed compendium video elements not working if they weren’t using the legacy element path.